The depot was ready to fall over when it was purchased in May 2017. 3 of the 5 trusses were no longer functional. The solution? To sandwich existing timbers with steel. This allowed the original framing to remain exposed while bringing the walls close back to plumb. Both East and west walls were trying to fall outward and were 2.5" to 3" off plumb. Cam straps were used to pull the building back in line as steel was inserted. In order to shore up the existing trusses, the roof had to be slit open above each one and steel dropped in through the roof. Each original roofing slat was removed, numbered, saved, and replaced in exactly the same position to maintain historic integrity. We're so grateful for the steel team out of Breckenridge. This same group is who shored up the Breckenridge Library which, we agree, looks gorgeous. Leadville is the highest incorporated city in North America. That means it gets pretty cold up here! 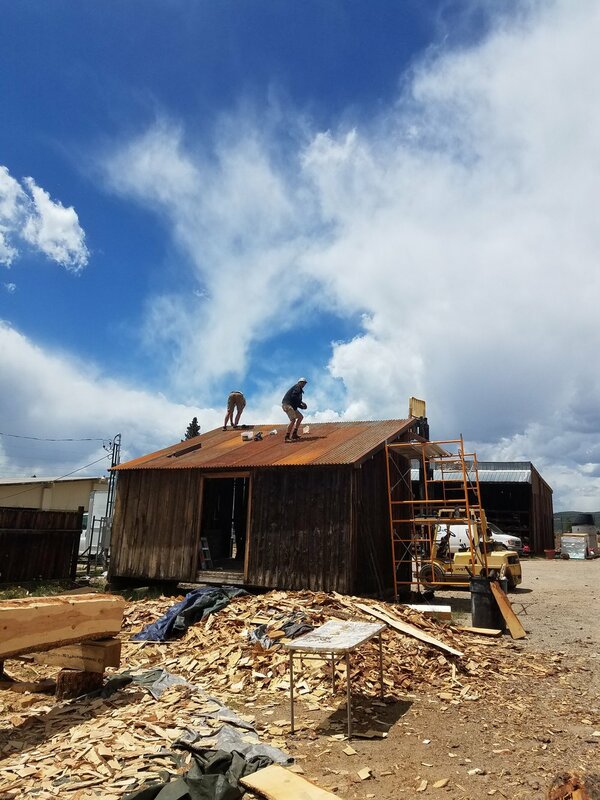 To make this building a year round space, each stud space has been scraped, dusted, vacuumed, filled with batten insulation, covered with plywood, wrapped in moisture barrier, covered with rigid insulation, furred, and new siding returned to the outside. There are over 700 stud spaces, none of which are the same shape or square. That's a lot of custom work! Using the rough edge of new siding brings the texture and feel of the original siding while adding material integrity. We uncovered the original color of the building from underneath a 20th Century addition. 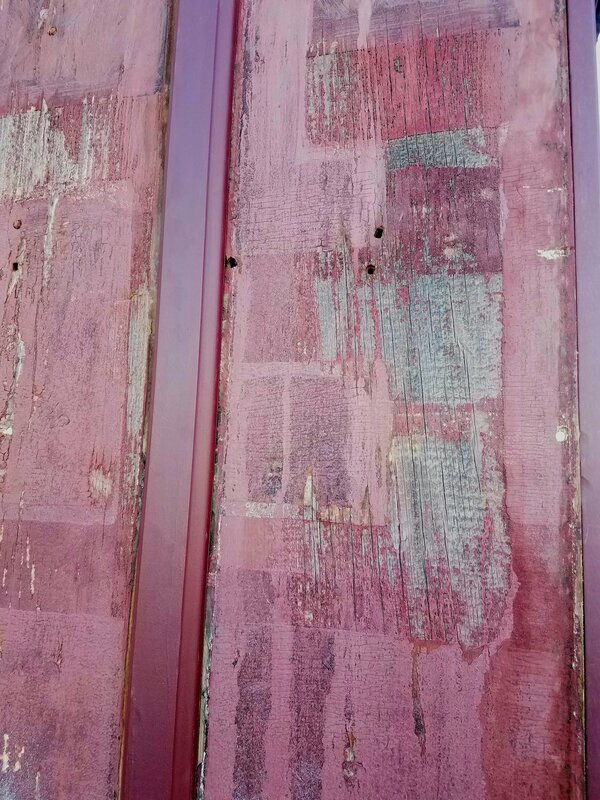 Here you can see how the exposure of 10,200' and heavy winters faded the original purple of the depot into a barn red. We're bringing the purple back! Where materials could be salvaged, they were! The East dock has an extensive eve (seen here) with gorgeous brackets. This saved much of the siding and anything that needed replacing received original materials back in it's place.